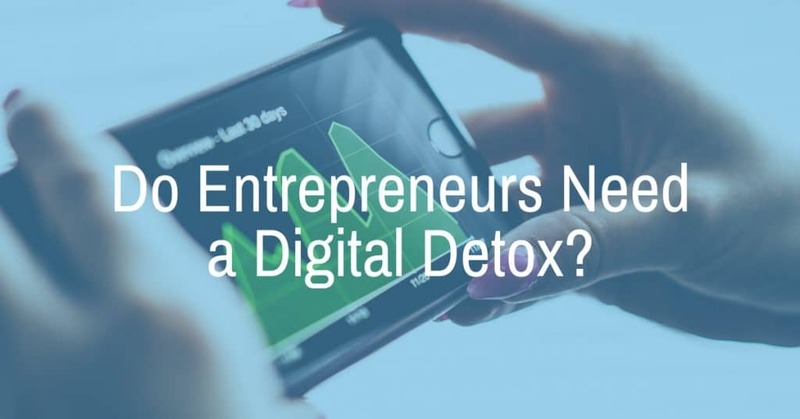 Could Entrepreneurs Benefit from a Digital Detox? It’s no secret that the beginning of 2017 has been a little stressful for many people in our nation. Politics, the economy, and religion have been hot topics across social media. It’s almost impossible to avoid it. On top of that, you still have to keep up with business done over digital like email or social media. Most entrepreneurs and management are finding themselves in the middle of digital stress. What if your business was suffering from the levels of unnecessary stress that your digital life is creating? What if you could find some relief without neglecting your business? What if that relief could actually make you a better owner or manager? The greatest opportunities often present themselves in times of great uncertainty. Involvement in politics, social change, or local charities is a great thing! We should all play a larger role in our local communities and nation. However, negativity can cripple us when it comes to accomplishing the things that we can control, such as hard work. Business owners require optimism, even in uncertain times. Here’s how you can overpower fear, anger, or negativity with a few simple digital changes. Audit who you follow: Negative people love to bring others down with them. Don’t get trapped in a pit of hopelessness with them. Instead, unfollow or “mute” their posts so that you consistently feed your mind and heart with hope and optimism. Opportunities to grow your business abound with a positive attitude! Turn off notifications: I remember my first iPhone and how excited I was to sync my email to it. Little did I know that a constant flow of email notifications would cripple my productivity and increase my stress levels. It also trained my customers to treat emails like a text message or phone call, hurting both of us. Control your notifications or they will control you. Set aside time for specific tasks: Staying connected is important, but not at the expense of relationships, productivity, or your sanity. Try checking your email during specific times of the day to start, and do it consistently. I check mine at 10am, 1pm, and 4pm, which allows me to reserve my most productive hours of the day to create or problem solve. Stay succinct: Managing your email or social media succinctly will help you respond faster and also have your responses read thoroughly. If you’re about to send a novel via email, stop. As a business owner, you’re short on time and long emails often turn into incomplete work or a total waste of your time. Schedule a phone call instead. The same goes for social media responses. You can give a shout out to a customer quickly and effectively without spending 10 minutes crafting “the perfect response”. Simply be yourself and stay thankful. Share positive messages: One of the best ways to add value to the world and fight negativity is to become a practitioner of positivity. It’s on you to add optimism into the conversation online. Before you rant about an airline, vent about a customer, or complain about long lines at the DMV, consider posting something positive. The optimism you share can directly effect the life of a friend, family member, or customer. Cutting out the negativity and increasing the positivity in your world can change the way you do business. Remember, the greatest opportunities often present themselves in times of great uncertainty. Stop drowning in negativity, control your digital life, and embrace the adventure of building a better business and community.